Jonathan Gosier of Appfrica.net, in his search for a simple, customizable self-hosted Project Management Intranet for his company, configured 15 popular applications and found cyn.in to be an invincible winner! His requirement was pretty straight forward, an open-source self-hosted system that allows for internal messaging, group knowledge sharing, task assignment and works in countries where ‘always connected’ to the internet is still a luxury. In his quest,he first researched the possible options, shortlisted to the 15 and then went ahead and installed/signed-up/demo-ed/tested all the applications meticulously to see how they stand up to their claims. The applications compared are rated based on functionality, pricing, usability, design, ease of installation and delivery models. 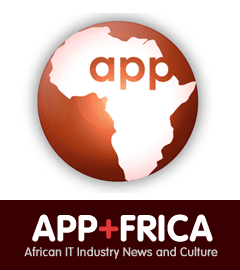 Below is the consolidated scoreboard for all applications compared by Appfrica - 1 is the lowest score and 5 is the highest. Zimbra, Cyn.in and ActiveCollab are definitely the top scorers and the two best self-hosted project management systems I could find. They all look good and have the features I need. What really sets the latter two apart is pricing, ActiveCollab is $99 per year while Cynapse asks $0.00 for their open source version which isn’t quite as easy to install. But if it saves me $100, I have no problem with that. So the winner, in my book, is Cyn.in (Cynapse)! Thanks Jonathan, for the detailed comparison. I am sure this will be useful to a lot of people looking for self-hosted project management / intranet applications.